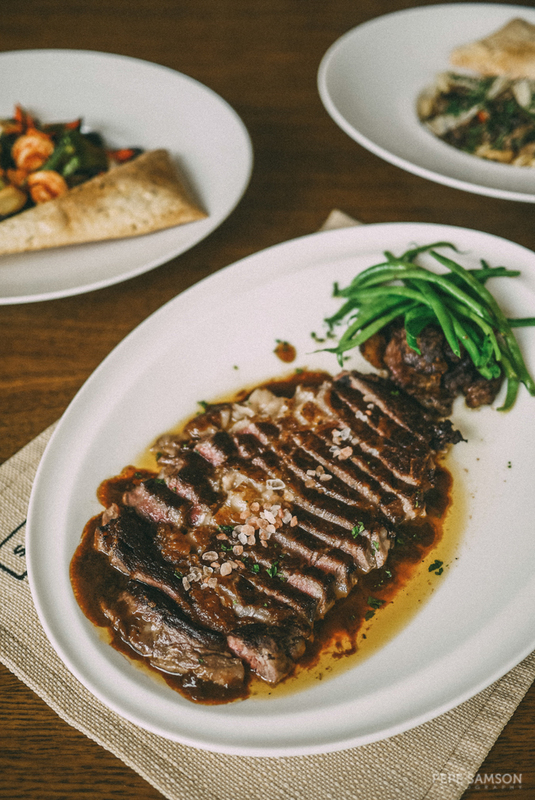 If you love steaks, then you must have dined at Myron’s Restaurant—once a popular restaurant in Greenbelt and now Ascott Makati’s all-day dining venue. The posh steakhouse, a favorite of diners looking for comforting food in an intimate setting, is the luxury property’s main F&B outlet, serving not just steaks but also a slightly revamped a la carte menu as well as breakfast to checked-in guests. If you’re a loyal patron who swears by The President—Myron’s signature steak—and who delights in watching chefs make your Caesar salad tableside, then for sure you still visit the restaurant in its new home. 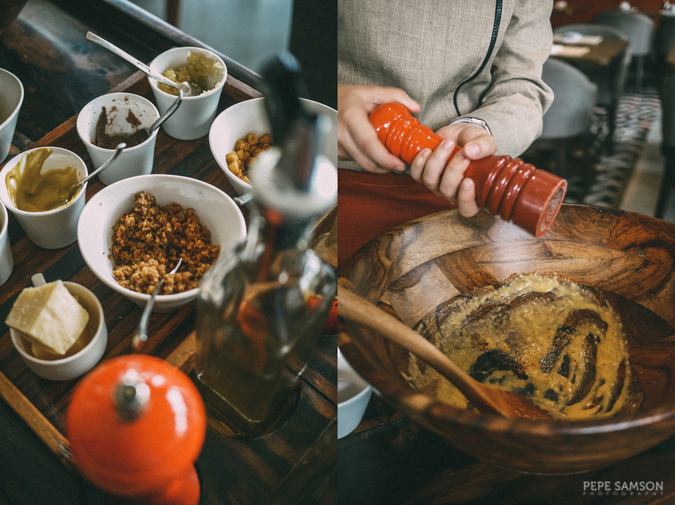 I recently visited Myron’s together with blogger friends from Pinas Muna and Metro Staycation, and needless to say, it was a fantastic, long lunch over mouthwatering meats and delicious pastas. 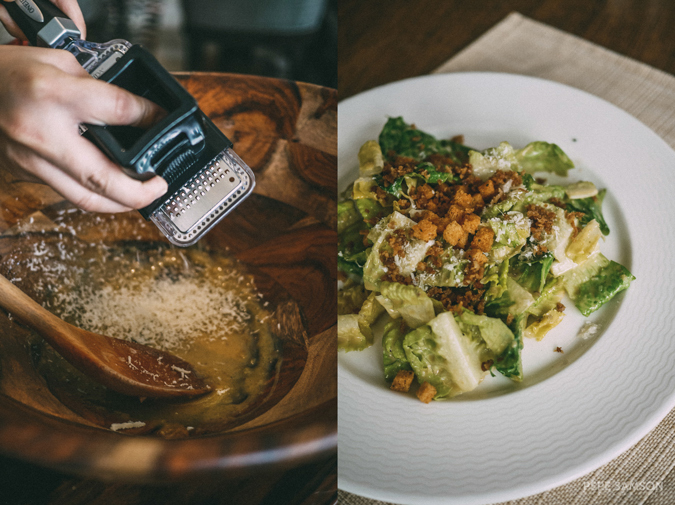 Of course, we started with some Caesar Salad (PhP325 solo/PhP625 for two). To tell you the truth, I’m not a big fan of this type of salad because I abhor those store-bought dressings, but Myron’s makes theirs from scratch, and assembles the salad right in front of you. I love that their rendition has a hint of spice, and doesn’t soak up the veggies—the amount and flavor are just right. Perfect way to start our meal! 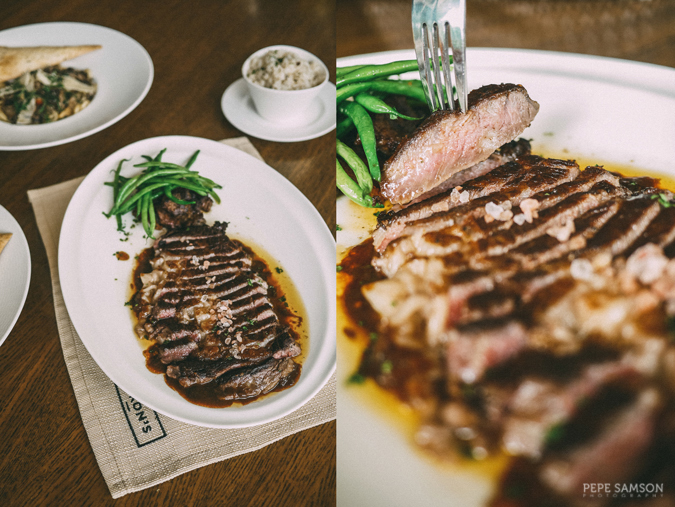 It took a while before we could decide what to get for the steak, but we invariably ended up with The President (PhP3,100)—the infamous 500-gram US Certified Angus Steak. I don’t know about you, but for me, a well-cooked steak is the ultimate comfort food. 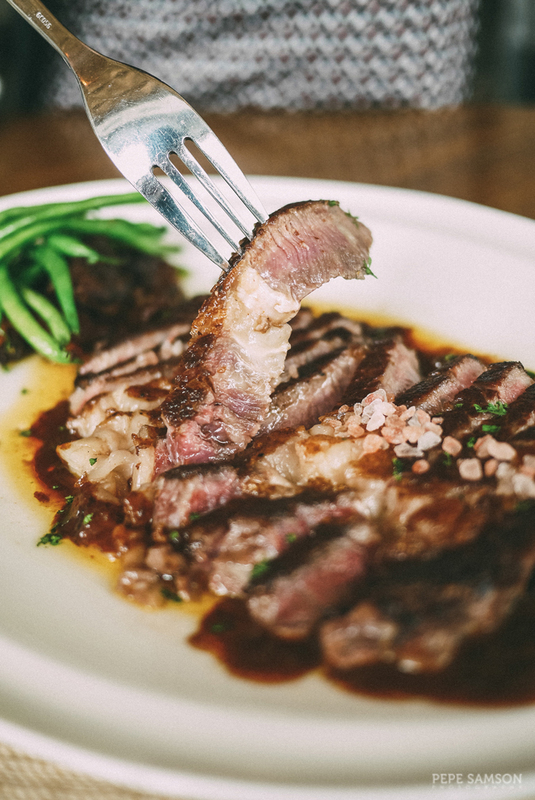 There’s nothing more satisfying for me than enjoying a huge chunk of juicy meat, slightly charred on the outside and tender and pinkish on the inside—and this is precisely what we got at Myron’s! Each strip is so juicy, with a good balance of meat and fat, the edges delightfully crisp. I personally don’t require any kind of sauce (I love the steak drippings, LOL), but The President comes with three and a sprinkle of Himalayan pink salt. So good! It’s served with a side of delicious steak rice—not for sharing if you ask me, so you better order more because it’s so tasty. I would rather try some pasta dishes than stuff myself crazy with rice though, so we ordered two to share. 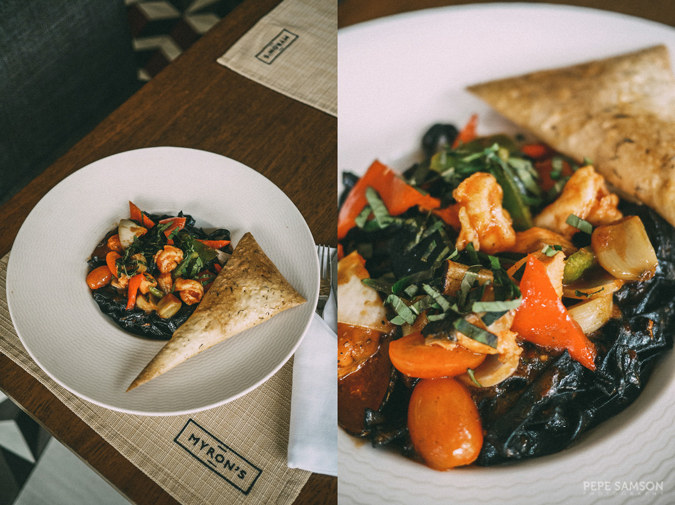 The Black Seafood Fettuccini (PhP450) would delight seafood lovers with its squid ink flavor and prawn toppings, accompanied by fresh tomatoes. 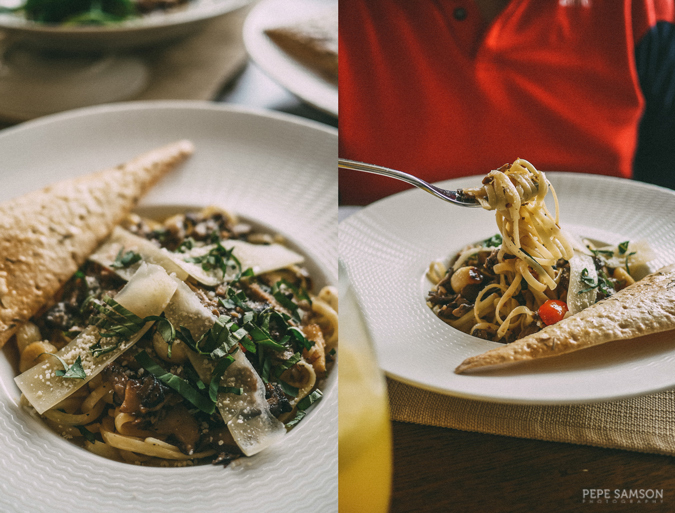 If you love truffle (like I do), get the Linguini with Fresh Mushroom and Truffle Oil (PhP450)—earthy, tasty, and topped with freshly grated grana padano. Yum! We were so full that we never got to the dessert part—so we just ordered some tea and coffee after our lunch feast. I love how elegant yet relaxing the ambience in this restaurant is, and the fact that it is inside a hotel makes it more appealing with the absence of huge crowds. 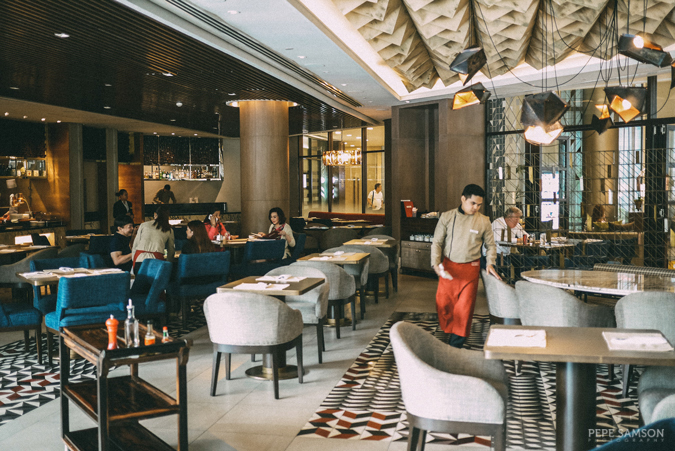 We lingered for a while in the dining area of Ascott’s swimming pool, wishing we could take a dip in between sips of coffee (and bites of steak, kidding). 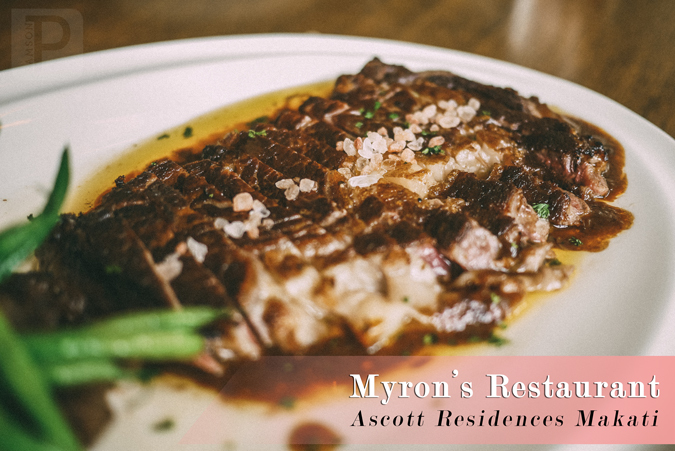 The next time you’re in the mood to indulge, head over to Ascott Makati and pay Myron’s Restaurant a visit. Whether it’s for a romantic dinner, a business lunch, or simply a once-in-a-while treat to yourself and your family, this institution does not fail to deliver. 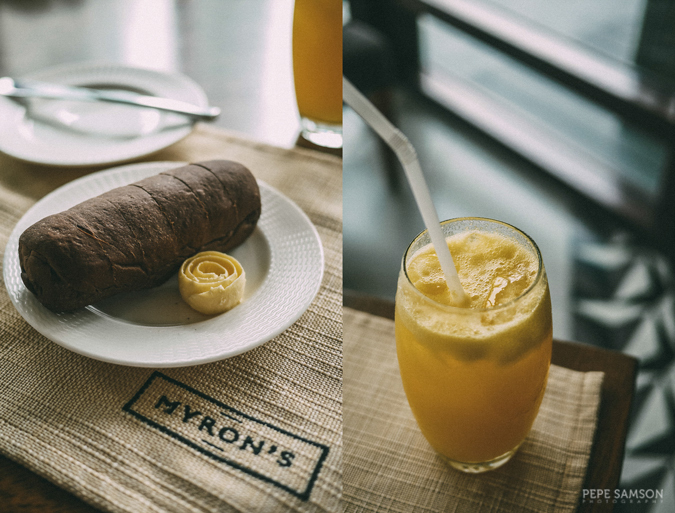 Have you dined at Myron's? What do you think of The President?